1. Grind together the mince along with the salt, ginger and garlic pastes and the onion. 2. Keep aside in a cool place for about an hour. 3. Now form a sausage like portion around a skewer. Then add a cube of tomato and capsicum. 4. Go on doing this till the skewer is half full. 5. Roast in a tandoor till cooked well, and make sure to keep basting with oil. 6. 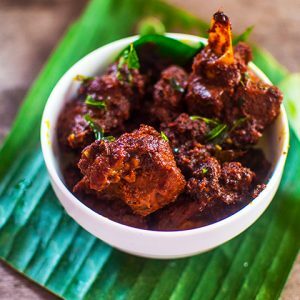 Serve with rotis, onion rings and mint chutney. Feel free to comment or share your thoughts on this Afghani Seekh Kebabs Recipe from Awesome Cuisine.